Health is the most prior thing in the life. To remain healthy, fit, and fine, one needs to take care of his/her diet. It is necessary to add those meals that fulfill our body requirements such as Vitamins, Calcium, Protein, Minerals, and other nutrients. It gives strength to our body and builds strong resistance against diseases and vulnerabilities. 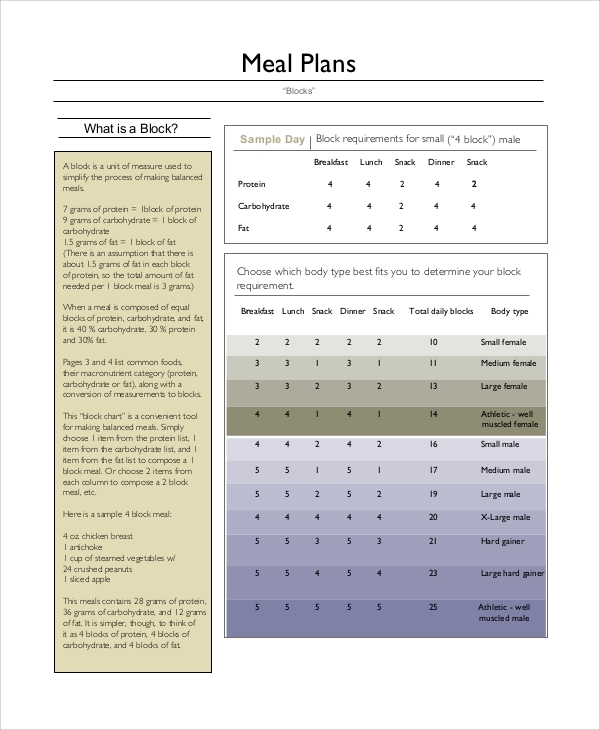 You can maintain a good diet chart by using our Sample Meal Planning Templates. Download our strategic plan template and schedule your meal plan. 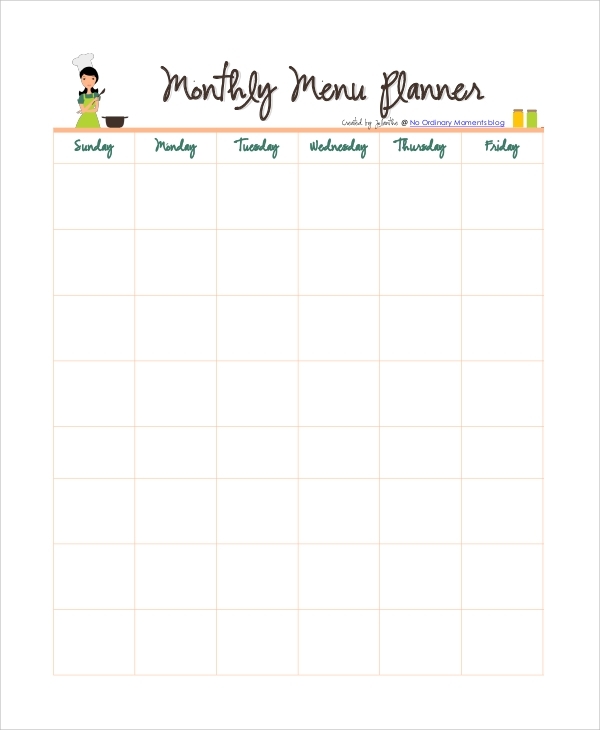 Open the monthly meal planning template and take a print out for scheduling your monthly meal plan. The template contains a weekly table including day columns. Fill out day and meal items below the day column. Follow your plan and stay healthy. This template is designed especially for mothers having a beautiful lady graphic at the top. 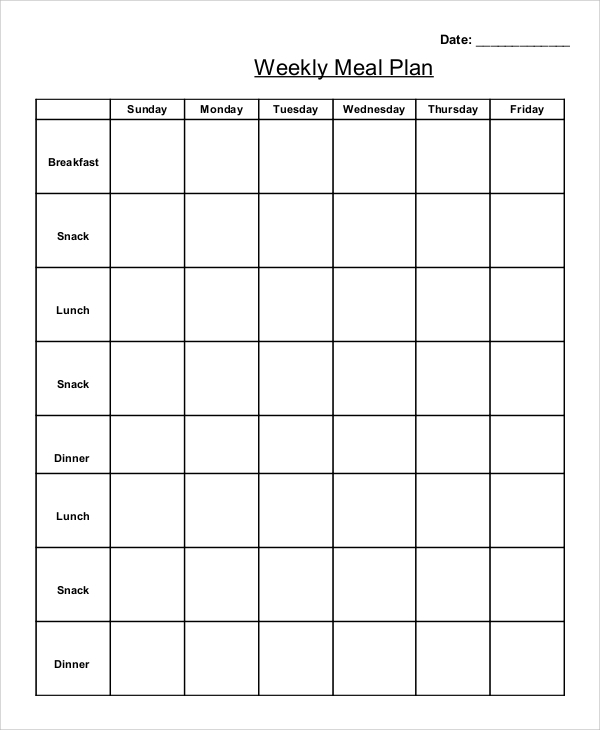 The weekly meal plan is a simple template with a structured table for weekly meal planning. 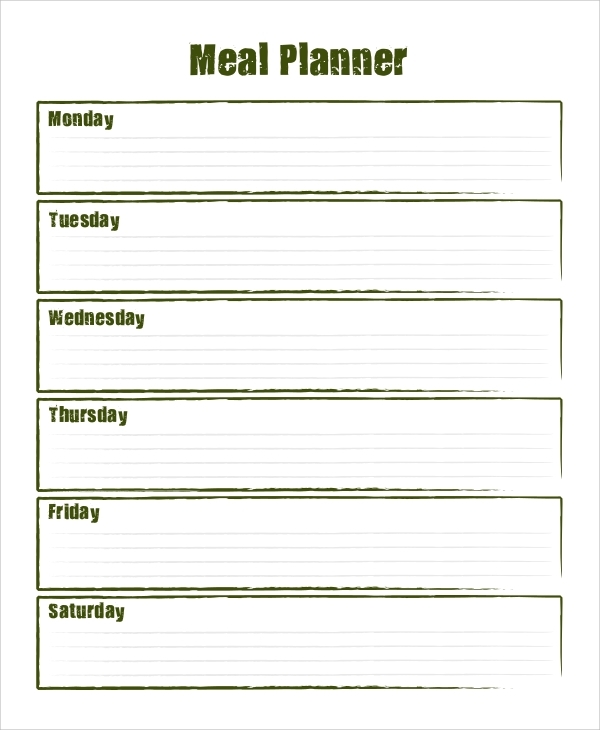 Fill the blank boxes with meal name and schedule your weekly meal program. You can specify and divide daily meals in four quarters namely breakfast, snack, lunch, and dinner. 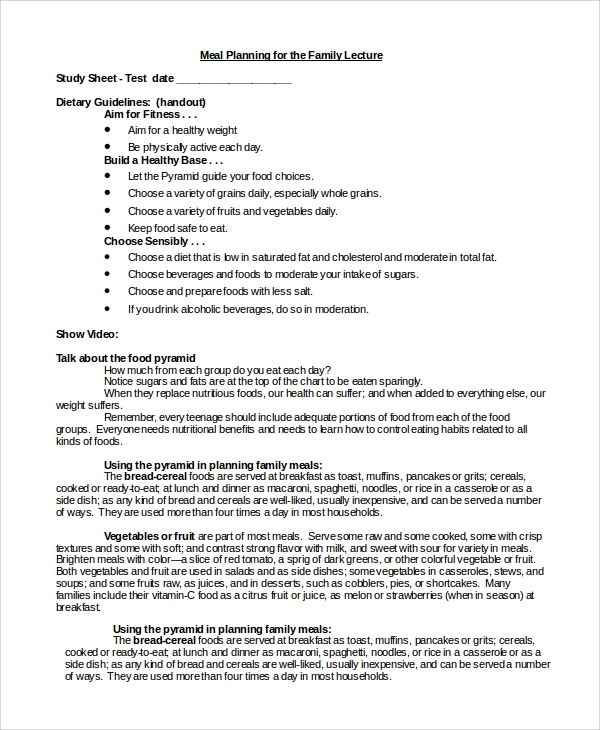 Prepare healthy eating meal plan using family meal planning template. The design is printer-friendly. 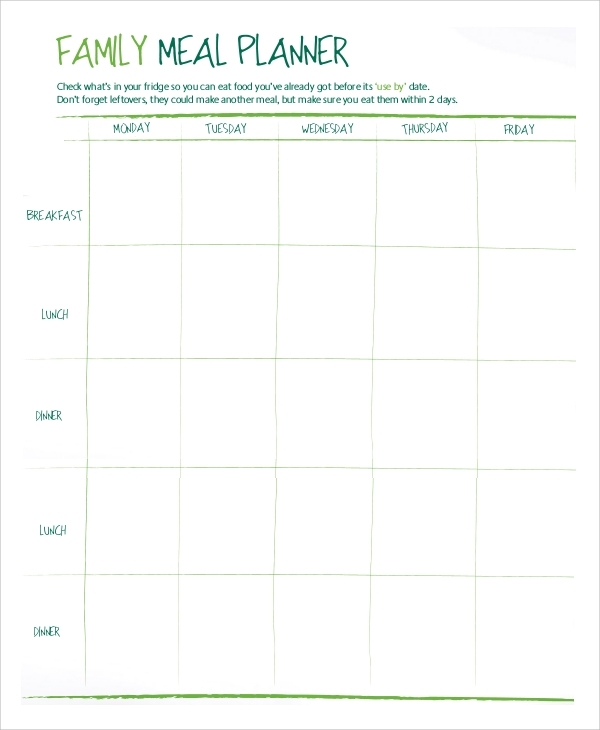 Download the menu planner template and fill out your weekly meal plan by adding meal items for breakfast, lunch, and dinner. Paste it to the kitchen wall and always being action oriented. 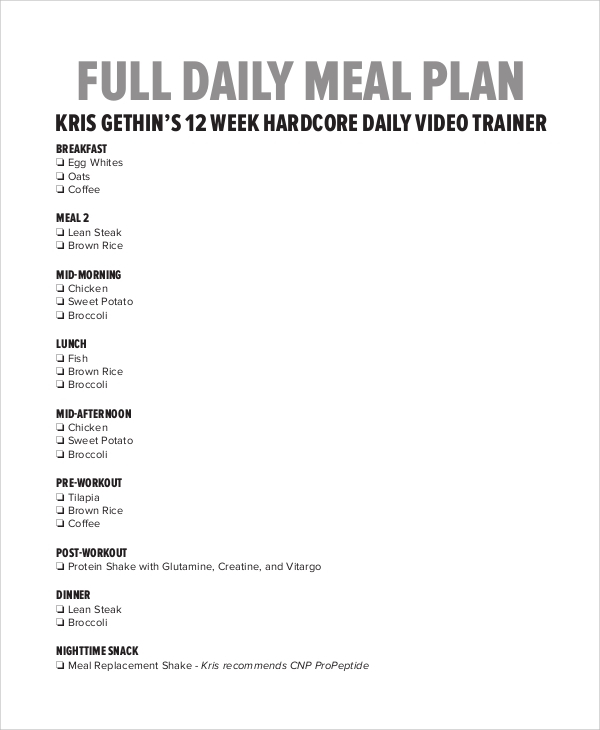 Take a print out of daily meal planning template and prepare regular meal plans. Use the check boxes and tick in front of the meal item you are going to prepare in the breakfast, lunch, dinner, mid-morning, snacks etc. Also, you can prepare a weekly shopping list by customizing the template using digital software. It is the best menu planner template for daily use. 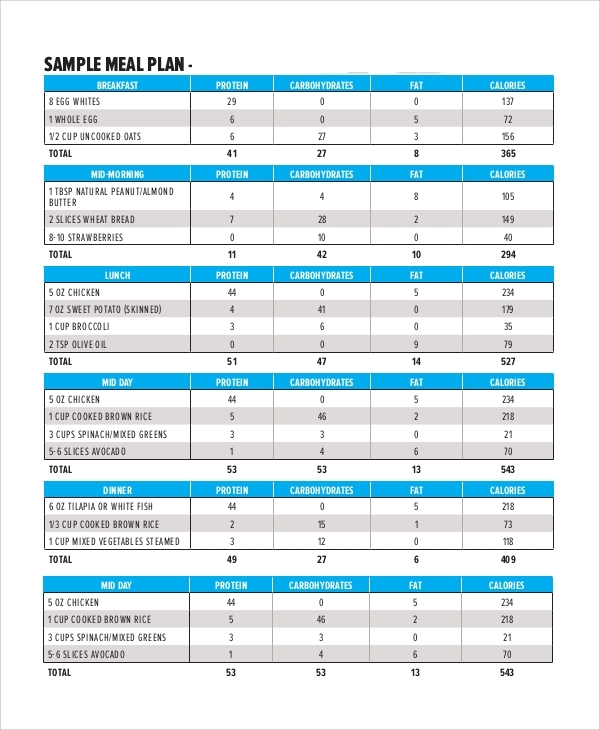 How to Use the Sample Meal Plannings? Use of a meal plan can boost the probability of good health. But, similar to meal planning, work planning is also a key term in our life. Let us have a look at our sample work plan template and download it for organizing your work actions.